Introduction to Tim Arnold's Pinball Hall of Fame. Las Vegas is known for the unusual and offbeat. Places like the Neon Museum, the Clown Factory, The Elvis Museum, the Barry Manilow Store, the Pinball Hall of Fame... Wait a second. 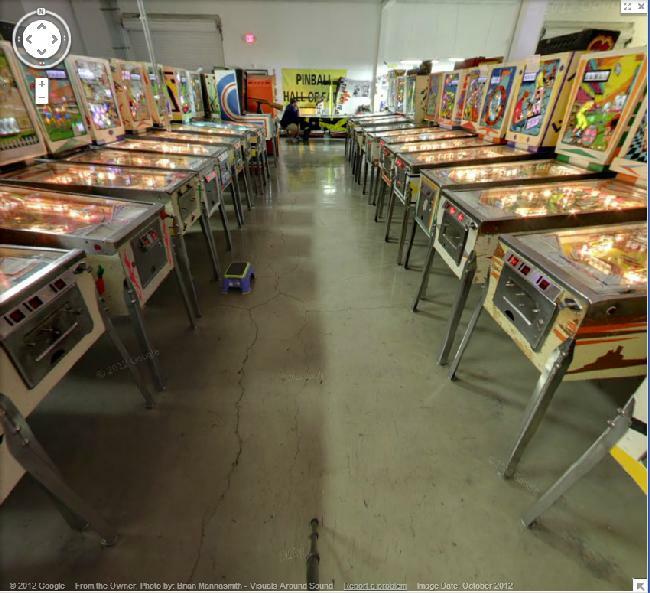 The Pinball Hall of Fame? What exactly is that? 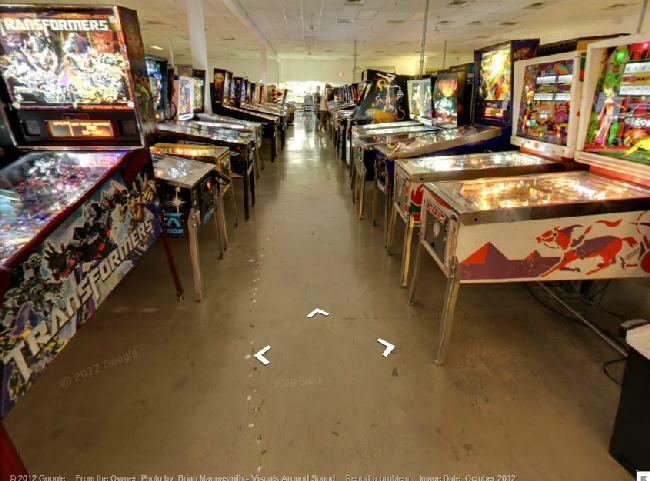 Or more importantly, why is there a Pinball Hall of Fame? 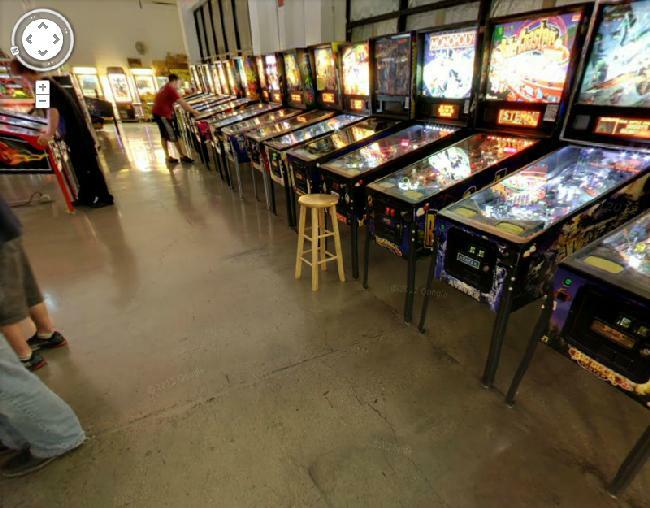 10,000 square feet is dedicated in the new facility to the Pinball Hall of Fame, where the entire family can enjoy non-violent pinball arcade games for small dinero. All machines are available for play, so not only can you see them, you can actually play your old favorites. The pinball machines are all restored to like-new playing condition by people that love pinball and understand how a machine should work. All older pinballs are set to 25 cents per play, and newer 1990s models are set to 50 cents per play. A far better return on fun than any Las Vegas casino environment, and the PHoF actually has windows and a clock in the room! It takes more than slot machines to keep tourists happy, and the Pinball Hall of Fame is trying its best to do just that. Forget the Las Vegas platitudes about sin and chance, excess and luck, 'what happens in Vegas stays in Vegas' slander. Sure Vegas is thought of in terms of slot machines, video poker, keno and roulette. Las Vegas is largely built on machines. 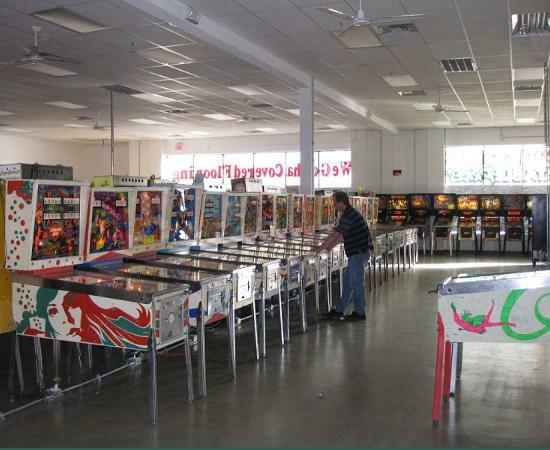 And the Pinball Hall of Fame is no differenent, but it is different. Wall to wall machines, but machines that deliver fun, something that a lot of people come to Vegas for, and don't get. Pinball is a welcome antidote to the gambling thrall that rules the town. Look at the zombies playing slot machines. Are they really having fun? Fun is mandatory at the Pinball Hall of Fame, and it's something you'll leave with, unlike what a slot machine delivers. Look at people playing at the PHoF; they're cheering, jumping up and down, laughing. They're having fun. The PHoF is grounded by a quality-for-quality's-sake, Zen-and-the-art-of-pinball-maintenance philosophy. 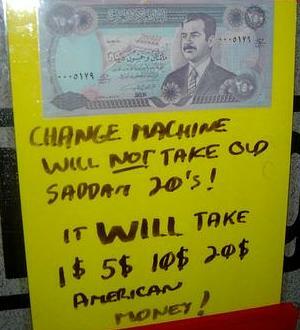 The machines here all *work*, and they deliver what they promise - fun. The club members make sure of this, often clad in a carpenter's apron and strung in wire. The Pinball Hall of Fame's reputation is on the line, and it's causing a stir among 'pinheads' worldwide. 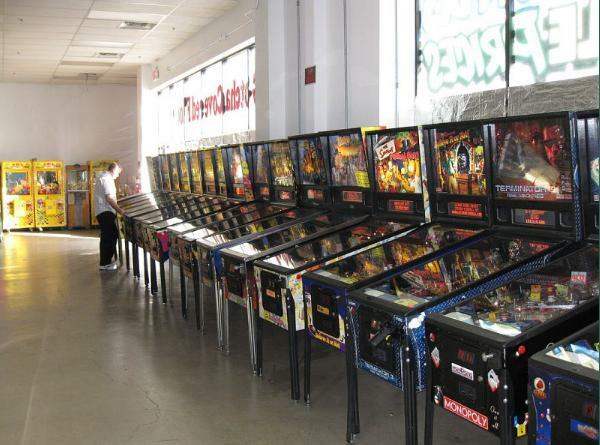 The Pinball Hall of Fame is a registered 501c3 non-profit. 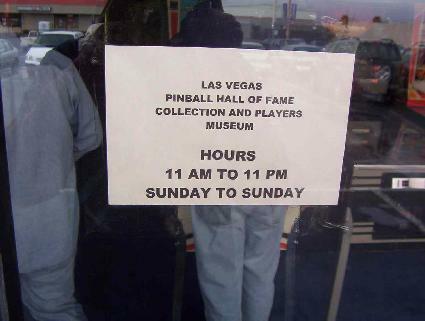 It relies on visitors stopping by to play these games, restored pinball machine sales, and 'This Old Pinball' repair dvd videos (available for sale at the museum). The PHoF has also helped out with fundraising for the local Salvation Army, accepting donations to benefit them. 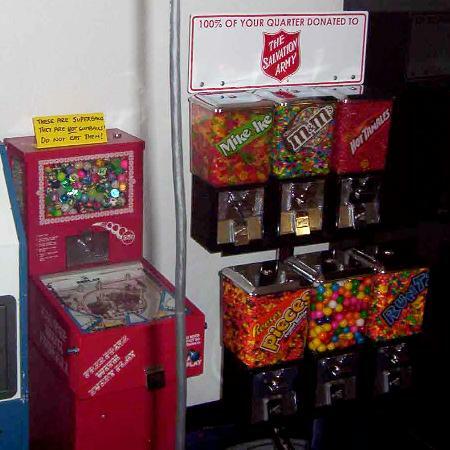 There is a candy vending stand, where the entire 25 cents of each quarter goes directly to the Salvation Army. And after the PHoF covers its monthly expenses for rent, electricity, insurance, endowment savings, the remainder of the money goes to the Salvation Army. Hosting paid for by LED Gaming Inc.